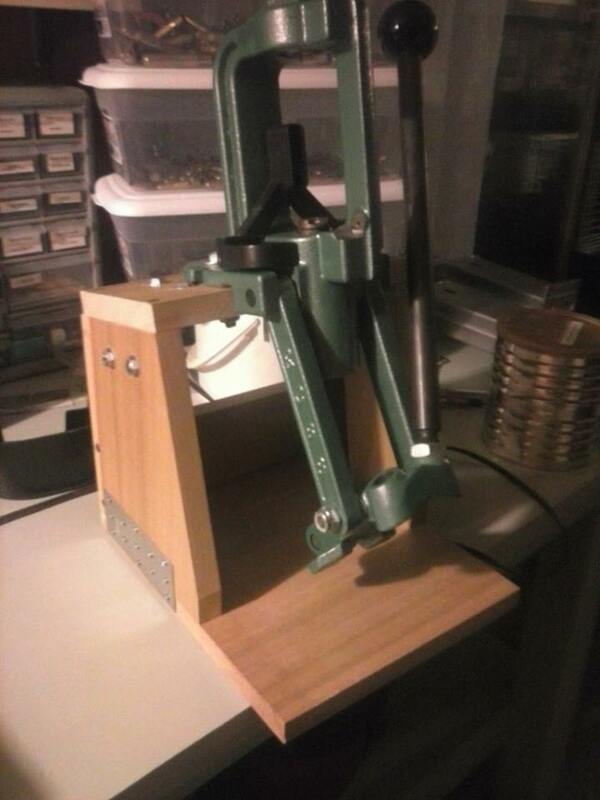 Built this the other day for my RCBS press and going to build one in the next few days for my Lyman T-mag. Will post pictures of my new bench soon as well. Looks good mate...functional and easy to move around. Well done mate. tlo, looks great! I had to raise my Rock Crusher up off the bench so I could swing the handle without having to bend over/down. Mine doesn't look as good as yours. thanks guys. It was not as necessary for my presses due to the height of my bench but I wanted to be able to take them off of my bench quickly and be able to use them in other locations. I also wanted to be able to store them on the shelf below my bench top easily when I am cleaning or working on a fire arm or something. I am not done but I am going make them quick release using jig nobs and threaded inserts. I already have threaded inserts as I got them locally but for some reason local hardware stores including Lowes and Home Depot do not seem to carry the jig nobs so I am going to have to order them. you could attach them with a wood working vice and a verticle board under your mounting box and put them away when not in use? Been considering that elvis. I am not sure which way I am going to go yet. Finished the strong mount for my Lyman t mag today and painted the old t mag as well. 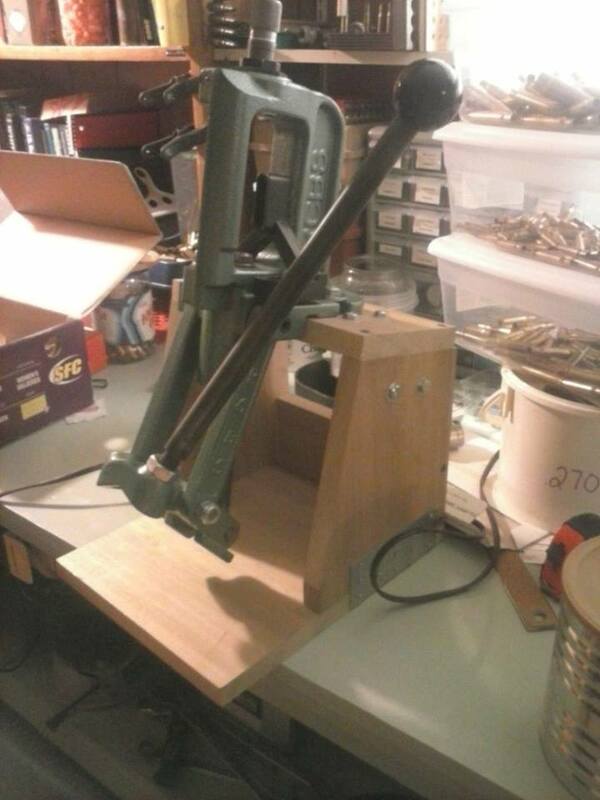 Been busy revamping my reloading area and will probably have a pic or two soon. They look good. I'll be waiting to see how they perform when resizing rifle brass. I might have to try that myself.